Last weekend we took a short break with Kriss to go kiting in Tarifa – the southernmost spot in Spain on the windy Strait of Gibraltar. I knew that we had a few customers in the area, so the night before flying out I picked 14 of them and wrote a spontaneous note. Hope you don’t mind the direct approach. I am the co-founder and CEO of TransferWise – the new money transfer platform, which I hope you have found useful. This weekend brings me down to Gibraltar, Algeciras and Tarifa for a couple of days of holidays. We have a number of great pioneers in this area including you. I was wondering if you are in the area, would have time to meet up and help me with feedback on how we can improve the service + how can we reach more people in the area? The next morning we touched down in Gibraltar and I had already 8 responses in my mailbox. It was totally overwhelming. Managed to set up two different meetings – a breakfast with Dan in Tarifa and a dinner with Gibraltar expats in La Linea, the Spanish town just across the border. We have always made a big deal about speaking with our customers. Pre-launch it was friends and beta-adopters, who helped craft the product. After launch I did most of the customer support calls, each an expedition into the mind of the customer. Seeing the product we had built now through the eyes of the customer was often revealing. As the customer base grew and we set up the dedicated customer support team, I pledged to speak with 5 new customers a week for general feedback. This was great for a couple of weeks, until I got so buried under with growing the team, that I started missing my 5 calls per week schedule. Fortunately Nilan recommended to start collecting external reviews. We hooked up to Trustpilot, asking our new customers leave a few words about their experience. This has been fantastic, as people when unprompted write the first thing that comes to their mind and what matters most to them. Each of the 600+ reviews have been a positive spark in the day for everyone in the team and have taught us more about our product that we openly realise. But nothing meets sitting down with your customer, taking all the time you need and hearing him out. We met Dan for breakfast at 10am on Saturday. I was back from my morning jog on the beach and he had already been catching the waves since 7am. Normally this would be the time of the day, when Dan peels off his neoprene suit and starts his day as web developer, working remotely for a Gibraltar company who had bought out his ecommerce product. 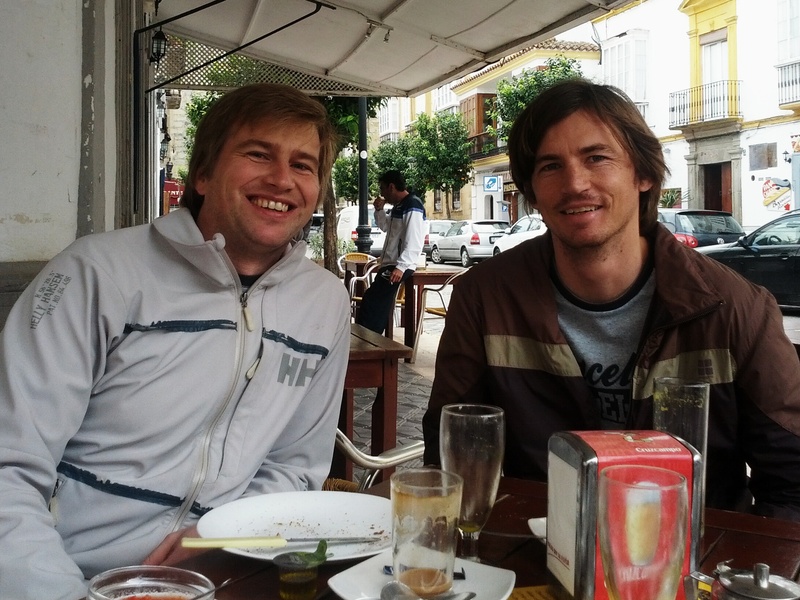 Dan is one of the many people, who first come to visit Tarifa, then visit more often and eventually stay there. He was raised by British expats in Botswana, travelled the world as a semi-pro windsurfer from the age of 16 until homed in on Tarifa and settled down 6 years ago. Dan said a colleague at work recommended TransferWise and he is now using it to transfer his salary from the Gibraltar company to his Spanish account and it has become a de facto option for him when sharing costs with friends in Pounds. He told me that he did not trust our website at first – any scammer can come up with a slick page and a bunch of case studies. So he did his research and after finding BBC and Wall Street Journal posts about TransferWise he got comfortable enough and is not looking back since. He gave me some good advice on how we can improve the experience for first time users and how best to approach British expats in the southern Spain. 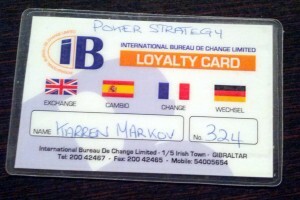 To our great surprise it turned out that Kamen and Andrei work for the same company in Gibraltar – PokerStrategy.com. As expats from Bulgaria and Estonia, they were lured to the Rock by an interesting job, decent pay and 340 days of sunshine. 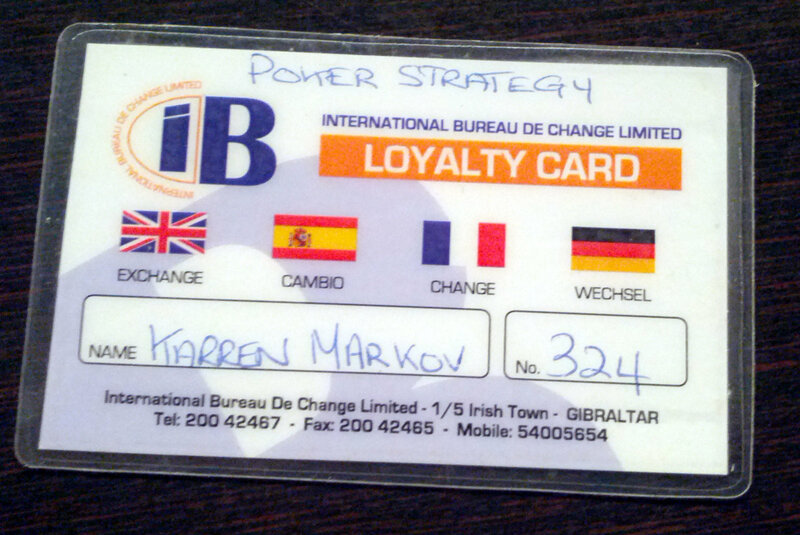 Apparently their poker school is one of the largest employers in the “country”, employing more than 100 people. Gaming and betting companies make up most of Gibraltar’s workforce. Gibraltar is the most banked country in the world with one bank for every 1,300 people. Most people live on the Spanish side, yet commute to work in Gibraltar and get paid in Sterling. Exchanging the salary is a problem to almost everyone working on the peninsular. At a bank or a currency exchange boutique my new friends were faced with 7% – 15% spread. Poker players are savvy with arithmetics. I learned that most people still take out cash in sterling on the GIB side, do an exchange on the way and pay into a Spanish bank account on the other side. Some wise guys use underground exchange offices operating in souvenire shops. These are not licensed, but give the best rate. Kamen told me lots about how the poker sites operate, how they do currency exchange and where players get ripped off on the exchange rate. It was fascinating as it looks like players are having a real problem moving their funds in and out of poker sites in USD without taking a hit on the exchange. We might have a workable solution soon for them soon. Once we fix their problem, news will travel super fast in this savvy and calculating community. 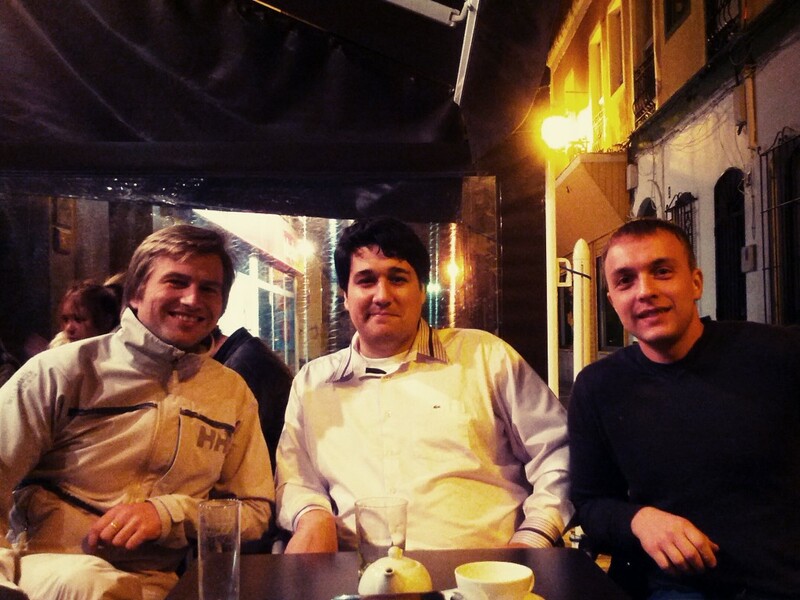 Meeting customers is awesome and incredibly useful. Not the “friends of friends”, not the early-adopters, but people who genuinely found your product to scratch a personal itch. Being overloaded with work or having “more important” things to deal with (e.g. boards, fundraising, etc) should never be an excuse for a small business owner not to meticulously reach out to customers and listen to what they have to say. Trust me you will learn lots. I loved how we managed to weave this bit of research in to a weekend of kiting. Next weekend Kriss and I are heading out to boarding in La Grave, looking forward to meeting some TransferWise’rs out there.